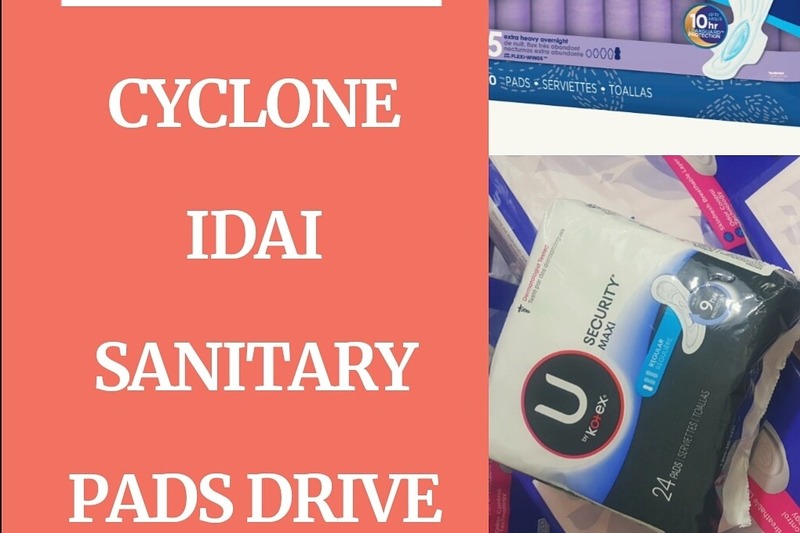 We have partnered with Zimwedding to collect sanitary pads for Cyclone Idai victims in Zimbabww. Abouta week ago cyclone Idai hit Mozambique, Malawi and Zimbabwe. About 7000 people lost their homes, hundreds lost their lives and hundreds were injured. We will purchase sanitary pads, we also plan on making cloth pads and some money will be used to transport the sanitary pads. I will be getting the money and sending it through Western Union or an agent to Zimweddings , Maina Msiska and Grace Chikwanda an individual .